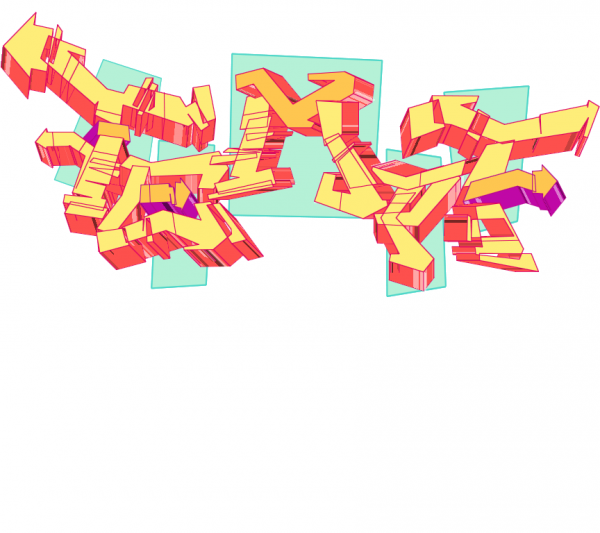 Members of Free Art and Technology (FAT), OpenFrameworks, the Graffiti Research Lab, and The Ebeling Group communities have teamed-up with a legendary LA graffiti writer, publisher and activist, named TEMPTONE. Tempt1 was diagnosed with ALS in 2003, a disease which has left him almost completely physically paralyzed… except for his eyes. This international team is working together to create a low-cost, open source eye-tracking system that will allow ALS patients to draw using just their eyes. The long-term goal is to create a professional/social network of software developers, hardware hackers, urban projection artists and ALS patients from around the world who are using local materials and open source research to creatively connect and make eye art. The core development teams consists of members of Free Art and Technology (FAT), OpenFrameworks and the Graffiti Resarch Lab: Tempt1, Evan Roth, Chris Sugrue, Zach Lieberman,Theo Watson and James Powderly. With founding support from The Ebeling Group and the Not Impossible Foundation, and addition support from Parsons Communication Design & Technology. Many thanks to: Keith Pasko, LM4K, Eleanor Dunk, Jamie Wilkinson, and Greg Leuch.